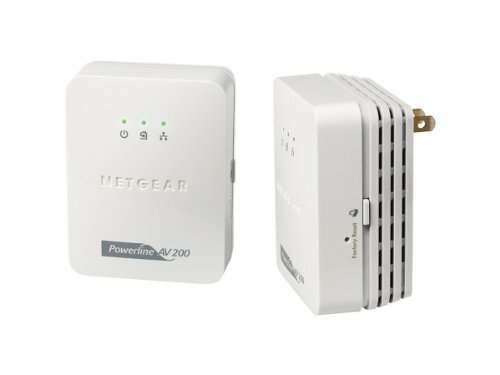 Why NETGEAR’s Powerline AV 200 Adapter Kit? Extends a high speed Internet connection to any power outlet1, Perfect for connecting HDTVs, Blu-ray players, DVRs, PCs and game consoles to your home network and the Internet, Compact design with push-button security, Just plug into any electrical outlet. NETGEAR Green Features Automatically powers down when not connected or not in use, Disable LEDs to help save energy, Packaging manufactured with at least 95% recycled materials. Disclaimers: Requires use of HomePlug AV compatible Powerline devices (two XAV2001 devices included).